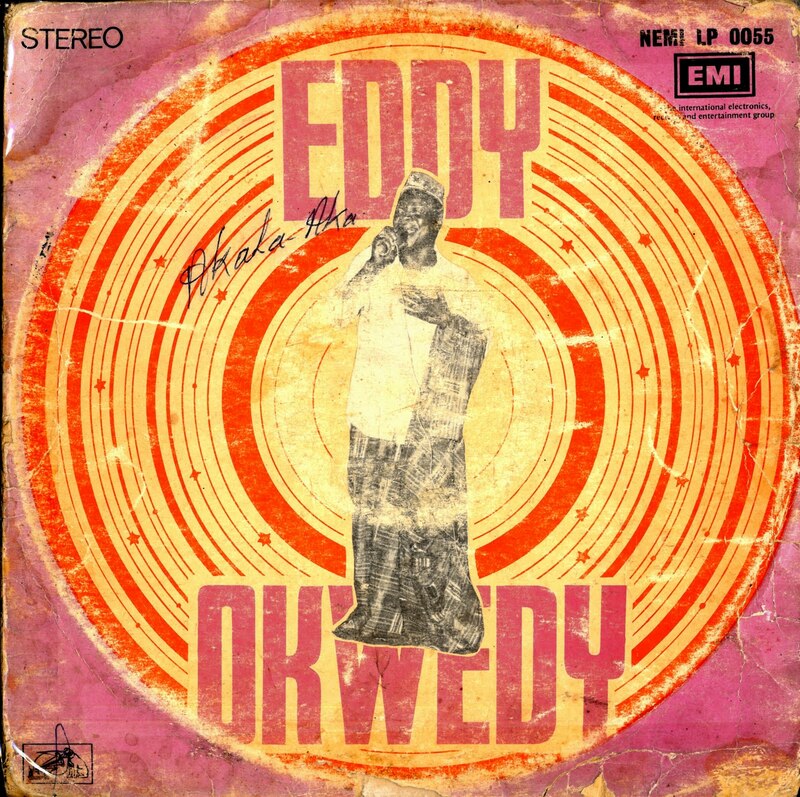 For the next selection on the highlife turntable, I have selected the track Iwe Obinwanne off a EMI release Obodo Idu. 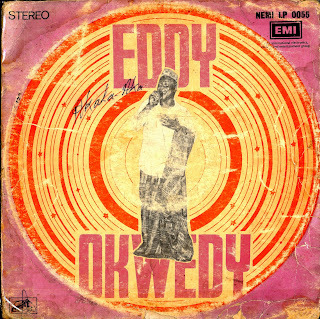 Eddy Okwedy was an Igbo musician in the 70's. In doing some research, I did find some of his music online. One of his tracks Happy Survival was reissued on the strut release Nigeria 70's, Comb and Razor has a recording of a 45 done on EMI and there are 2 Youtube postings. I also found an article that translated part of his lyrics and found them to be very political and socially conscious. Whatever the meaning I have found his lyrics and delivery to be laid back and very much in the Ukwauni style of the time: urgent with a quality of intimacy that makes you think he is speaking to you. Match this with a danceable beat and you can begin to understand the pull highlife music had on people and why they responded so enthusiastically to the music. I like this song for beauty of Eddy's singing and there are several excellent horn breaks, one in the first minute and then another extended solo around the 2.00 minute mark. Also check out the guitar run that starts at the 2.50 mark and the laid back drum solo as the songs fades out at the end. I hope you like it.